I qualified for the Games as an Athlete. What tickets do I get? What does the Festival + Coliseum Package get you? Individuals who qualify for the Games will have the option to purchase (2) Coliseum + Festival Packages at 50% discounted rate (50% discount applies only to orange $275 tickets ONLY) and can then purchase (2) additional Coliseum + Festival Packages at full price for a total of (4) Coliseum + Festival Packages. 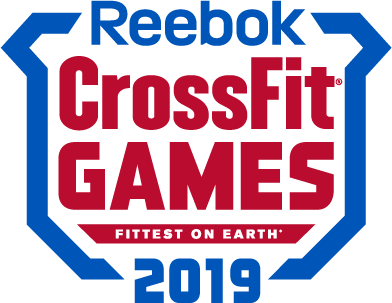 Only the qualifying athletes will have the option to purchase these reserved tickets during a specific window after their respective Regional. Athletes who qualify will be contacted. Teams who qualify will be treated as one entity. The team captains of teams who qualify for the Games will have the option to purchase (4) Coliseum + Festival Packages at 50% discounted rate (50% discount applies only to orange $275 tickets ONLY) and can then purchase (4) additional Coliseum + Festival Packages at full price for a total of (8) Coliseum + Festival Packages per team. Only the qualifying Team's Captains will have the option to purchase these reserved tickets during a specific window after their respective Regional. Team Captains will act as the point of contact. Masters and Teenage athletes who qualify will be comped (2) Festival Packages. Masters and Teenage Athletes can purchase however many of any additional tickets besides the two comped festival packages during public sale. Masters and Teenage Athletes will not receive any discount on Coliseum + Festival Packages they purchase during the public sale. Who can compete in the Individual division? What is prohibited inside the venue? I'm 14-17, but I want to compete as an Individual. How do I do that?